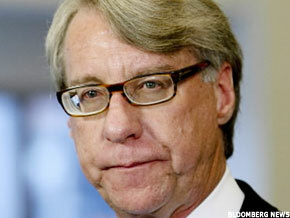 BEIJING (TheStreet) -- Short-seller Jim Chanos correctly saw Enron'sproblems before they engulfed the company. He's now making media appearances identifying China as his next short idea, specifically the Chinese commercial and residential property markets. Chanos famously referred to these markets as "Dubai times 1,000," foreseeing a cascading effect of property developers defaults, non-performing bank loans, bank losses and reduced lending, a pullback in further development and jobs, and a sharp drop in demand for commodities. Jim Chanos, founder and managing partner of Kynikos Associates. In short, according to Chanos, China's property market -- supporting the Chinese economy, which is the last engine powering the global economy -- is about to melt down. He's put his money where his investment thesis is by shorting internationally traded commodity and infrastructure companies and Hong Kong property developers with exposure to China. According to a New York Times article from January, Chanos only started studying the China market last summer. He has apparently never visited the country and has joked on TV appearances that he will never be able to visit the country now that he's made such bearish pronouncements. Instead, Chanos -- like a lot of other Western commentators -- bases his views on statistics and the opinions of other Western talking heads, many of whom also haven't been to China lately, if ever. There's a Chinese saying: "If you visit my village in three months, you'll notice small changes; if you visit my village in six months, you'll notice big changes; if you visit my village in a year, you won't recognize my village." Chanos and other bears haven't even visited the village yet to kick the tires. Friday, I met with Steven Zhu, COO of fast-rising stock China Agritech (CAGC - commentary - Trade Now), a maker of organic fertilizers. The stock has been on a tear since last fall, rising from $4 in September to $27.36 last Friday. The company will be announcing its Q4 and full-year earnings this week. And while I walked away from the meeting feeling that this is a solid company, I would avoid holding the stock this week and wait to enter at a lower price. Fertilizer companies around the globe have been on fire over the past half-year. Agrium(AGU - commentary - Trade Now) has been in a bidding war for CF Industries (CF -commentary - Trade Now), which was making a play -- and did so successfully -- for Terra(TRA - commentary - Trade Now). Agrium is up 45% in the past six months, while Terra is up 30%. Potash Corp (POT - commentary - Trade Now), another large integrated fertilizer company, is up 35% in the same period. In growing economies, these fertilizer companies have had a price advantage, selling to farmers looking to increase the yield of their arable land and maximize what they can sell to hungry and growing populations. In China, these macro trends have been even more pronounced. The world's most populous country, with almost 1.5 billion people, has been experiencing a mini-boom, increasing demand for food. At the same time, arable land in China is scarce. With the larger cities continuing to increase in size and smaller conurbations growing to house the expanding population, farmers have had to make the most of the arable land available. China's annual fertilizer output reached 67 million tonnes last year, up 16% from the prior year. Most Chinese farmers are simple and are looking to buy the cheapest fertilizer possible to maximize their land's production. Within the Chinese fertilizer space, organic fertilizers -- which China Agritech manufactures, along with competitors likeChina Green Agriculture (CGA - commentary- Trade Now) -- are a still a small segment, accounting for only 10% of the market. Such fertilizers increase yield while protecting the long-term health of the land compared with traditional fertilizers. They're more expensive, so they require a more sophisticated sales force to explain to farmers how they will be better off in the long run by using these fertilizers, even though they will cost more initially. I traveled to Macau recently to see how the Las Vegas of the Orient was faring. We've heard endlessly about the potential of Macau, but it's difficult to appreciate until you go there and see it first-hand. My take-away: Macau is working, and stocks associated with it should do well in the years ahead. This small island at the mouth of the Pearl River is overrun with visitors at the moment. They're coming across the border from China by the busload, or from Hong Kong on high-speed ferries. Macau was turned into a casino Mecca in the 1960s by Stanley Ho, who held a monopoly for many years and still controls a Hong Kong-listed company, Sociedade de Jogos de Macau, that owns two large casinos here: Lisboa and the newer Grand Lisboa. Both were packed earlier this week with chain-smoking mainlanders gambling midday on a weekday. The clientele appeared a little more lowbrow compared with those at other casinos I visited, but they seemed very happy with their experience from what I saw. Stanley Ho's daughter, Pansy Ho, entered a joint venture with MGM (MGM - commentary - Trade Now) a few years ago to open an MGM Grand in Macau. During my visit, it seemed the least busy of all the new American casinos in this former Portuguese territory, which reverted to Chinese sovereignty in 1999. Stanley Ho's son, Lawrence Ho, runs Melco Entertainment (MPEL - commentary - Trade Now), which operates City of Dreams over on the Cotai Strip (one island over from the main island of Macau). City of Dreams, though newer and nicer, wasn't as busy as Stanley Ho's casinos, either. Wynn Resorts' (WYNN - commentary - Trade Now) casino is extravagant and exactly like the experience you have when you go to Las Vegas. The hotel is one of only three in Asia to receive the coveted Mobil 5 stars. Visitors pass countless high-end shops on their way to the casino floor. However, I was surprised to see relatively low traffic, compared with other casinos I visited. There were noticeably fewer mainland Chinese and more Australians and Hong Kong visitors. When asked, a local denied mainlanders had any bias against Wynn, saying they often returned to the casinos they liked, and "word of mouth" was very important to draw more customers to certain casinos. HONG KONG (TheStreet) - I've spent the last couple of days in Hong Kong, the gateway to the Orient. Starting Thursday, I will embark on a 10-day trip in China meeting with different management teams from existing portfolio companies and prospective investments. The companies include Universal Travel(UTA), Orient Paper(ONP),China Agritech(CAGC), Puda Coal(PUDA), Shengkai Innovations(SHE), China-Biotics(CHBT), China Wind Systems(CWS), and Fuqi International(FUQI). The time in Hong Kong has opened my eyes to some of the dynamics going on in this city's economy and its relationship to mainland China, which are useful for any investor to keep in mind. Hong Kong is booming at the moment. Recession? What recession? Any American looking to board a time machine and travel back to the glory days on 2006 should take the next flight to this city. If you've grown weary about hearing the latest Case-Shiller data on housing and how foreclosures are about to start increasing again, you might find it jarring to walk around Hong Kong and read posters on real estate agency windows advertising dark and dirty 1,600 square- foot apartments going for $3 million to $4 million. Everywhere you go, you see advertisements for some new extravagant condo building being built. People here like to demonstrate their prosperity, often by wearing high-end brands proudly. On a stroll last night through a prosperous section of Kowloon, I was startled to see a line to get into the biggest Louis Vuitton shop I've ever seen. Yes, there was a line of people waiting to get into a store so they could spend $10,000 to buy a bag. I now understand why Vancouver and Toronto are experiencing mini-housing bubbles at the moment: People from Hong Kong are going up there to scoop up investment properties at a fraction of the price they would pay here. This real estate boom is driven by the constricted supply of housing on the small island, the low marginal tax rate of 15% (how's that for a mortgage tax deduction? ), and most importantly, newly wealthy mainland Chinese teeming over the border every day eager to spend their money in Hong Kong. I just landed in Hong Kong for the start of a two-week tour of China, meeting with management teams of emerging Chinese growth companies. During the trip, I'll be meeting with China Agritech (CAGC -commentary - Trade Now), Origin Agritech (SEED - commentary - Trade Now), China Mass Media (CMM- commentary - Trade Now), Shengkai Innovations (SHE - commentary - Trade Now), Oriental Paper(ONP - commentary - Trade Now), Puda Coal (PUDA - commentary - Trade Now), China Wind Systems(CWS - commentary - Trade Now), China-Biotics (CHBT - commentary - Trade Now) and -- just confirmed --Fuqi International (FUQI - commentary - Trade Now) (see my article from last week). I'll be reporting on my meetings and my impressions of the companies in the coming weeks here on RealMoney. However, my first meeting this week will be with Universal Travel Group (UTA - commentary - Trade Now). UTA books travel reservations, trips and junkets, and sells online travel tickets to the mainland Chinese. It is aiming to be the leading travel services provider in the country. It was founded as Shenzhen Yu Zhi Aviation Services in 1998 and went public on the OTC market in the US in 2006. Last year, it upgraded its listing in the US to the NYSE. It has had an assortment of businesses under its roof over the years. It has owned and operated an air-cargo business (which it sold off last year) and has run an online e-commerce website and call center-oriented tour-package reservation service. Even its home base has been a bit split. Its main headquarters since foundation has been in Shenzhen, a short hop to the mainland from Hong Kong. However, last year, the company decided to open a second headquarters inland in the town of Chongqing, where it has also invested in a larger call-center operation. The main reason for any casual investor to be interested in UTA is that the company is relatively under-valued in the booming Chinese tourism sector. China's tourism industry is one of the fastest-growing industries in the country. Most travel agencies are domestically owned. Only 10-15% of the country's travel agencies are international. The market in China is highly fragmented, with the largest player having only an 8% market share. By 2020, China will become the single largest source of international tourism and will be the largest domestic tourism market in the world. Carl C. Icahn likes to be called an activist investor, not a raider. He has, however, just made a hostile bid for one company, and is in multiple court battles. HE is a billionaire several times over. He has spent the better part of four decades terrorizing corporate chiefs and battling entrenched boards. His name is emblazoned on a stadium on an island in the East River, a laboratory at Princeton, a science center at the Choate Rosemary Hall school in Connecticut and charter schools in the Bronx. Yet, for all of his high-profile successes, Carl C. Icahn says he feels misunderstood. "There's a misperception out there that we bust up companies. Or that I believe that all people on boards are bad," growls Mr. Icahn, the 74-year-old investor, as he sets a coffee cup on a small mahogany table in his office on the 47th floor of a Midtown Manhattan tower. "It's just that, in some cases, the C.E.O. 's are so wrong," he grumbles, then quickly flashes a big smile and laughs at his own joke. While Mr. Icahn likes to pull out his Rodney Dangerfield-esque why-can't-I-get-any-respect? routine, he has over the years perfected the art of stirring up trouble for companies and making money - sometimes lots of it - for his investors and himself. And while many of his peers from back in the day - names including T. Boone Pickens, Saul P. Steinberg, Robert M. Bass - keep significantly lower profiles these days, Mr. Icahn has not gone quietly into the night. "He is a survivor," said Chris Young, a director at Institutional Shareholder Services, a Rockville, Md., proxy advisory firm. "If you look at the proxy pipeline, he's involved with a bunch of contentious situations." On Friday, Mr. Icahn made a hostile offer to buy the Hollywood studio Lionsgate Entertainment; meanwhile, through the $8 billion hedge fund and other assets he oversees - $6 billion is his money - he is waging proxy fights to get new or additional board seats at the biotech companies Biogen Idec and Genzyme. They are also warring with Donald Trump and debt holders in a New Jersey bankruptcy court over ownership of three casinos in Atlantic City that bear Mr. Trump's name. In recent months, Mr. Icahn has bought a partly built casino on the Las Vegas strip and the Tropicana Casino and Resort in Atlantic City from bankruptcy. It is too early to tell whether he will prevail in these battles. But after all these years, a career of victories and occasional misses, one thing can certainly be said of Mr. Icahn: He is one of Wall Street's most colorful, controversial and complicated characters. Wearing slightly rumpled khakis and waving his eyeglasses to punctuate key points, Mr. Icahn is constantly jumping from one topic to another in an endless stream of dialogue. In that respect, he more closely resembles an absent-minded professor than a master of the universe. Corporate executives visiting his offices walk through hallways adorned with paintings of battle scenes and sculptures of cowboys on bucking broncos. One large painting in the conference room features a lion gazing at the bones of an animal in a desert.Yet he bristles at being labeled a "raider," despite the fact that he is widely viewed as a founding member of the clan that roamed Wall Street in the 1980s, occasionally pursuing hostile takeovers with ruthless abandon. Last year, his hedge fund, highly concentrated in a handful of stocks and bonds, soared 32 percent, after fees, according to a letter sent to investors. That's a reversal from 2008, when it fell 36 percent, including fees. Mr. Icahn's firm declined to provide an after-fees figure. To some people, Mr. Icahn and activist investors of his ilk are the heroes of the financial system. "They are the ones who are holding corporate America's feet to the fire and incentivizing companies to perform better," said Frank Partnoy, a professor of law and finance at the University of San Diego. Mr. Partnoy contributed to a study that examined activist investing from 2001 to 2006 and found that activists held stocks longer than others and that the companies they pursue often outperform the market. But some fellow activists contend that Mr. Icahn's strong-armed methods of arguing to get on a board and then pushing for a quick change - such as paying a dividend, buying back stock, merging with another company or cleaving off an underperforming unit - are sadly out of date in today's corporate boardrooms. "There are times when you push back and be harsh and times when you roll up your sleeves and work with management, getting more involved with operations," said Eric Jackson, an activist investor in Naples, Fla. "Carl's record on that score hasn't been as successful." Mr. Icahn and his defenders say he has improved several companies he has invested in or owns. (Besides the hedge fund, he oversees Icahn Enterprises, a hodgepodge of companies he has collected over the years in the automotive, metals and real estate industries.) Late one recent Friday afternoon, Mr. Icahn, a workaholic night owl who rarely appears at glittering high-society functions, dismissed thoughts about going out to dinner with his wife, Gail, or - gasp - taking a bigger break from the business altogether. "What else am I going to do?" Mr. Icahn asked before returning to his office for a meeting on his real estate holdings. "Play shuffleboard?" IN the spring of 2008, Roy J. Bostock, the chairman of Yahoo, and his fellow directors were coming under a barrage of criticism from investors after Microsoft abruptly broke off merger talks. Mr. Icahn, who had a large stake in Yahoo, jumped into the fray. In a scathing letter to Mr. Bostock, he said the board had "acted irrationally" and "completely botched" the merger. Mr. Icahn's solution included putting up a slate of 10 directors picked by him. (The company eventually settled, placing Mr. Icahn and two of his other nominees on the 11-member board.) What Mr. Icahn did or did not accomplish in his 15 months on the Yahoo board - he stepped down last fall - is the subject of hot debate. But what's surprising about that debate is that one of Mr. Icahn's biggest detractors is Mr. Jackson, a fellow activist investor. And his biggest supporters are some other Yahoo directors. "I think in the first couple of meetings, there was a lot of trepidation: Will he just be disruptive and not constructive? Can this work?" said Maggie Wilderotter, the C.E.O. of Frontier Communications, who resigned from Yahoo's board last year. "Carl doesn't worry about what people around the table think about him. He's blunt. If there's an elephant in the room, he puts it on the center of the table." And while Mr. Bostock recalled with humor at least one conversation with Mr. Icahn that involved many "four-letter words going back and forth," he said he appreciated Mr. Icahn's persistence and the different point of view he brought to discussions. "Carl brought financial acumen to the board and a good, solid understanding of the strategic imperatives that faced the company, particularly what it would take to compete longer term with the likes of Google, Microsoft and others from a capital-expenditures point of view," Mr. Bostock said. "It was one of the reasons he was pushing for a Microsoft deal." But Mr. Jackson, who manages a small activist hedge fund called Ironfire Capital, says Mr. Icahn blew it with Yahoo. "There was a sense that shareholders were going to go to Sunnyvale with pitchforks," Mr. Jackson said, referring to Yahoo's California base. "He saw that and thought he could ride in on a horse and take control of the company. He didn't realize that he had to articulate to investors what it was he was going to do if he actually had the keys to the car and was driving things." "He's the granddaddy of activist investing. Anyone who practices activist investing has to pay homage to him and the trail that he's blazed," Mr. Jackson added. But "I would say his involvement with the company did nothing for shareholders and hurt his own investors in the stock." Mr. Icahn said that while his firm did not make money in Yahoo, it was supportive in bringing on board Carol Bartz, the company's C.E.O., and instrumental in eventually forging an Internet search and advertising partnership with Microsoft. As for the criticism from Mr. Jackson that his methods do not work, Mr. Icahn said, "To say that we don't add value is absurd." MR. ICAHN grew up in a middle-class neighborhood in Queens, and started his first business at the age of 13, when he snapped pictures of neighbors' homes. He developed the photographs in his basement and glued them to the covers of matchbooks that he would buy for 50 cents a box. He sold the boxes to homeowners for $1.50. When he turned 15, he played his own version of the ice futures market as a cabana boy at a beach club, ordering extra ice on hot mornings to sell to visitors who would run out later in the day. After graduating from Princeton with a degree in philosophy and briefly serving as a medic in the Army, Mr. Icahn landed on Wall Street, opening his own brokerage firm in 1968. In the late 1970s, he waged his first proxy battles. When the buyout barons and corporate raiders ruled Wall Street in the 1980s, he was one of the kings. He made plays for some of the largest companies in America, including Phillips Petroleum, the steel giant USX, Texaco and T.W.A. Some were big victories for Mr. Icahn; others were perhaps more trouble than they were ultimately worth. "He had a very devil's-advocate way of reviewing investments," said Gary Siegler, who worked with Mr. Icahn from 1985 to 1990. "You had to be able to support your point of view." After the junk bond market collapsed and boards adopted anti-takeover measures, some raiders moved on in the early 1990s to other things. Mr. Icahn stayed the course, battling for control of the comic book publisher Marvel Entertainment and badgering RJR Nabisco to split its food and tobacco units. Some of his fights in recent years have involved technology and entertainment companies, including Time Warner, Motorola, Blockbuster and the video game maker Take-Two Interactive Software. "He's had a mixed record on returns" and in understanding the evolution of the media business, said Matthew Harrigan, an analyst at research firm Wunderlich Securities who is watching Mr. Icahn's moves against Lionsgate. Among other things, Mr. Icahn is angling to get his son and fellow chess player, Brett, who works at Mr. Icahn's company, on the studio's board. Associates of Mr. Icahn say that his company made money on its Time Warner investment and that while his Motorola investment has not gone as well, they believe it will eventually pay off. "We hold these things for a long time and the jury is still out," Mr. Icahn added.He has fared better in some of his biotech holdings, which make up a big chunk of the hedge fund's investments. "The biotechs have been his big winners recently," particularly investments in ImClone Systems and MedImmune, said Mr. Young at Institutional Shareholder Services. "His thesis, which is no secret, is that biotech firms should be purchased by Big Pharma, which is always in need of new products. In his mind, that's a match made in heaven." Mr. Icahn says he has also made money in industrial and gambling companies he has acquired out of bankruptcy and nursed back to health. He said that a couple of years ago, for instance, his company booked a $1 billion profit after selling gambling properties, including the Las Vegas Stratosphere hotel and casino, that it had picked up largely in bankruptcy proceedings. Similarly, he made an additional $1 billion or so selling energy companies he had acquired years earlier. In those cases and others, Mr. Icahn argues that he is not given enough credit for holding companies for long periods and investing even more of his own money into the businesses to help them grow. He specifically cites his investments in a rail-car business and the automotive parts supplier Federal-Mogul. "What gives me the greatest excitement and joy is building a company," Mr. Icahn said. "By the way, it's also the way to make the most money. "It may not, however, be the easiest way to make a buck. One of the companies in which he owns a majority stake - XO Communications - has been fighting lawsuits by R2, a Fort Worth, Tex., fund controlled by a hedge fund called Q Investments. The hedge fund is run by Geoffrey Raynor, a former investment banker who worked for the Bass family of Texas. R2 accuses Mr. Icahn of engaging in "sweetheart" transactions and "self-dealing" in his oversight of the communications company. In another suit against Mr. Icahn, Mr. Raynor, through another fund, contends that "material misinformation" was included in a recent $2 billion bond offering. Mr. Raynor declined to comment for this article.Mr. Icahn, who denies all of the accusations made against him, filed his own $100 million lawsuit against Mr. Raynor recently, saying Mr. Raynor's lawsuit caused economic harm to the bond offering. Mr. Icahn called Mr. Raynor a "serial sue-er," and in a court document he contends that the hedge fund has filed 45 lawsuits against various parties in the last four years.Disputing that figure, a spokesman for Mr. Raynor says that in the last 10 years, the firm has been a plaintiff in 16 non-bankruptcy proceedings, along with the two legal disputes with Mr. Icahn. "I've put $1 billion into this company. I don't get a salary, and I spend hours on it each week," Mr. Icahn said, his tone rising in frustration. "About $80 million of the company's revenues each year are coming from introductions I brought in." Later, as further proof of his involvement with the communications company he proudly showed off the latest addition to a row of awards arrayed on a cabinet just outside his office. It is a large glass cup engraved with his name, declaring him XO's "salesman of the decade." LATE last year, Donald Trump was sitting in his office when he was alerted that Carl Icahn was on the phone. Mr. Icahn told him that he had joined the Texas banker D. Andrew Beal in his effort to gain control of three Atlantic City casinos bearing Mr. Trump's name, acquiring a majority of the first-lien mortgages held by Beal Bank. "He told me he was doing it because he heard I wasn't involved, but he knew I was involved, that I had a deal with bondholders," Mr. Trump said. "I was very surprised and also very disappointed that Carl got involved," Mr. Trump added. He said the two had been friends for years and that Mr. Icahn had sought his advice when he was divorcing his first wife. Mr. Trump said the two had not spoken since the call. "I should be the one that is surprised he is upset," Mr. Icahn said. "I might possibly feel bad had I interfered at a time when he was running the business," but that's not the case, he added. "Additionally I find it odd that he's now claiming to be my good friend," Mr. Icahn said. "I was not surprised when I was not invited to his daughter's wedding precisely because we are not good friends." The Trump casino deal shows that Mr. Icahn is not afraid to take on big names if there is money to be made. He also makes it clear in other dealings that he is aggressive in protecting his interests. Consider the case involving the activist manager William A. Ackman. Mr. Ackman's fund, Gotham Partners, has sued a company owned by Mr. Icahn over a profit-sharing agreement between the men that was made about seven years ago. According to court documents, Mr. Ackman sold his investment in Hallwood Realty to Mr. Icahn in 2003 with an agreement that if the assets were sold or transferred at a profit within three years, Mr. Ackman and his fund would get a share of the action. The assets were sold about a year later and, in an interview, Mr. Ackman said Mr. Icahn owed him about $4.7 million. The New York Supreme Court found in favor of Mr. Ackman, and the First Department appellate court affirmed that decision. Mr. Icahn has not paid any of the money and is disputing the legal fees, which with interest bring the total owed to $8 million Mr. Ackman said. "I call it my Carl Icahn money market account," he said. "I don't get these sort of rates anywhere else." Mr. Icahn responded that "I never agreed to give him the profit he now claims, and the case will be appealed." Mr. Icahn does not seem to let anything, including a very close friendship, get in the way of protecting his and his investors' profits. Late in 2008, through his hedge fund, he sued Realogy, a real estate company controlled by Leon Black, the head of the private equity firm Apollo Management. Mr. Black was trying to reduce Realogy's hefty debt load by offering to exchange some of the debt with bondholders. Mr. Icahn, a bondholder who has known and been friends with Mr. Black for decades - the two have been longtime tennis partners - objected to some terms of the exchange and sued. "Carl and I have been good friends for over 25 years," Mr. Black said in an e-mail message. "Occasionally we skirmish as couples are wont to do, but I believe we both feel that when the chips are down that the friendship is paramount." How, exactly, does one sue and still be good friends with someone on Wall Street? Mr. Icahn smiles sagely over his cup of coffee: "The two of us have a saying that we always use whenever there is friction in our business dealings. We always say, 'there's only one Maltese Falcon.' "At one point in that classic 1941 film, a character chasing a valuable figurine says to a close associate, "You've been like a son to me," Mr. Icahn explains, paraphrasing from the movie.Then, lowering his voice with mock intensity, Mr. Icahn adds that the character says that if you lose a son, it's possible to get another - "but there's only one Maltese Falcon.' "
Fuqi International (FUQI - commentary - Trade Now) announced last night a major restatement of its 2009 numbers and other accounting irregularities, which will delay the filing of its 10-K with the SEC. The stock dropped 35% in early trading today. Some have asked me if this is a buying opportunity. My verdict: I'd steer clear for now. It's just too risky. I wrote a positive piece about FUQI in early January, saying that the stock was undervalued and that the growing market for jewelry in China would aid the stock. While I'm still convinced about the Chinese jewelry market, my valuation was based on the assumption that the company's numbers were correct. We know now that they weren't. And this is one of the great risks of investing in smaller, growth-oriented Chinese companies: governance standards are not the same as for smaller American companies. When I talk about governance standards, I mean the composition and conduct of the board of directors, as well as the implementation of proper accounting standards -- and a curbing of related-party transactions. Related-party transactions seem to have been part of the problem here with Fuqi, as well as with another high-flying Chinese growth stock,Yuhe International (YUII - commentary -Trade Now), which saw its stock take a haircut a week ago. I sold my Fuqi long position and calls last week. I had been a believer in the stock and expected the company to do well this year. I'll be going to China in a few days for two weeks to meet with several management teams of companies I believe have a chance of seeing their stock prices double this year. Fuqi was one of the companies I had looked forward to meeting. Several weeks ago, Chinese-speaking employees of my firm, based in Hong Kong and within China, started to reach out to the companies of interest to us. We introduced our firm and expressed our interest in their companies. We disclosed our stock position in them (usually long) and said we wanted to meet with them to better understand their business and potentially increase our position in their company. The conclusions from last week's report have surprised many about what went on leading to the downfall of Lehman Brothers. How could management have been allowed to manipulate the investment banks' results so materially, even as they painted a different story to investors in their public filings? Why does it appear that the auditors, Ernst & Young, were so complicit with what management was doing in the months leading up to Lehman's bankruptcy filing? How was the board of directors not informed that this was going on? And most importantly, what should be learned from all of this going forward? Some have opined that this "black eye" for E&Y will be their Enron. It will suffer the same negative publicity that Arthur Andersen did after it became clear that the energy company was cooking its books under the watch of the auditor. This bad publicity eventually led to the collapse of the accounting firm. We're still in the early days of discovering what E&Y knew and didn't know about what happened at Lehman, so it's a little premature to suggest that E&Y is headed for the same fate as Andersen. Even if it is discovered that E&Y was just as "guilty" as Andersen, there are many reasons to think that E&Y will continue. The world is in a much more fragile place today than it was in 2002 -- at least according to the Obama administration and government officials in many other large countries. Real reform of the financial system has been put on the back-burner. Saving the existing system is the priority. What's the different between E&Y and Andersen? Andersen/Enron was a discrete failure, with culpable and easy scapegoat actors. What we're living through is the aftermath of a systemic failure where even the government was to blame. Where do you start with reform? When you're living through a four-alarm fire, the thinking on the part of the government seems to go, you don't repaint the trim on the house. They're trying to put the fire out, and that means keeping the status quo. Since then, the stock has been stuck in a trading range, rising 2%. However, my view on the stock has turned positive and I'm now long. What's changed? Some risks remain. The risks of tightening debt covenants remain. That will happen this year, so the company will have to continue to perform to meet those. Corporate governance is the same as it ever was. Sands CEO Sheldon Adelson will continue to look out for himself and his family. Investors should continue to expect egregious expenses charged to their tab. The biggest thing that's happened to make me positive on the stock is that the company's Macau operations have turned up sharply and seem poised to continue in this vein for at least the rest of the year. Sands' overall Q4 earnings weren't particularly good but, here's the thing. The market is not expecting much from the company's Las Vegas, Pennsylvania or Singapore results. The stock's fortunes rise and fall with the latest news on Macau, and business there seems to be much stronger this quarter and growing. In the risks I cited in November, I discussed the threat of continuing losses at the company and development risk in Macau. Although LVS has a number of properties there that still need capital to be completed, as the business environment has improved in these last four months, the risk of Sands coming up short has lessened. And with even a slight upturn in Macau revenue, LVS benefits disproportionately relative to its peers -- and that is what's happening at the moment (something the market hasn't yet fully recognized, in my opinion). If you have any specific questions, please send them along. If I ask, and they answer, I will post the responses once I get back. Over the past year, I've been very critical of Citigroup (C - commentary - Trade Now) CEO Vikram Pandit and of the company's improved but still-deficient board of directors. Perhaps there's no greater example of a once-great company laid low by the financial tsunami of 2008 than Citi. Yet, the company, which has been plagued by persistent bad press for the better part of two years now, seems to have turned the corner, with investors taking particular notice in the last week. Yesterday, the stock touched $4 for the first time in three months. It's time to give Citi its due, and it's time to get long the stock. Here's why. Vikram Pandit has been abysmal CEO, but he is actually learning from the massive criticism he's received. Pandit has done himself no favors since taking the top spot from Chuck Prince. He told a reporter after his ascension that he called his father in India to tell him of the good news by saying, "The Prince has gone and the King has come." Last week's performance of Pandit in front of the TARP oversight committee and with media afterwards was beyond reproach. He struck just the right tone of modesty and wanting to do what's right for Citi shareholders and the country. If he can be coached here by his PR team, it gives me hope that he can also be coached in improving some of the other parts of Citi that need work. Last week, Amazon.com(AMZN) announced that it would try to enhance its service in Canada through Amazon.ca by expanding its distribution centers within the country. Chapters Indigo, the No. 1 bricks-and-mortar bookseller chain in Canada, has cried foul to the Canadian government, appealing to an obscure law that any distribution center in Canada needs to owned by a majority of Canadians. Chapters Indigo is the top online competitor against Amazon in Canada. The same products sold on Amazon.ca are up to 40% more than the ones sold on Amazon.com. An increased cost of doing business in Canada for Amazon from a less efficient distribution means that Chapters Indigo can keep its margins up at the expense of consumers. But there is a much longer back story to this relationship than just this latest scuffle about distribution centers. It goes to the heart of how governmental regulation -- whether in Canada or elsewhere -- can be capricious and work against the interest of consumers and in favor of those with the money and access to power to shape it for its own ends. Chapters Indigo, a national bookseller chain, is no different from Barnes & Noble(BKS), Borders(BGP), or Books-A-Million(BAM). It's the result of a merger of two old chains -- Chapters and Indigo -- that struggled with profitability. The old head of Indigo, Heather Reisman, became the new head of Chapters Indigo. Why aren't any of the big American booksellers in Canada? They have never been allowed to enter the market. Back in the late 1990s, when the super-store bookseller chain idea emerged and Chapters and Indigo both were founded, the two Canadian chains appealed to the Liberal federal government to block American companies like Barnes & Noble and Borders from entering the market. Their argument went that Canadian literature, opinion, and news coverage was culturally unique and deserved to be protected by the Canadian government. The large American chains had much more capital. In a true free market system, they would have been allowed to enter the market and sell their wares. With more capital, presumably they would have undercut the Canadian booksellers until the big ones had suffered enormous losses and been forced to withdraw from the market, leaving the American firms with a stranglehold on the Canadian bookselling market.